Legos in the Library is Tuesday January 14th from 3 - 4:30 pm. For all January Events see our Calendar. 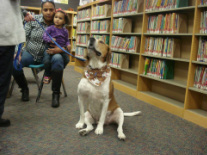 Come read a picture book to one of our Certified Therapy Dog visitors. We provide a book or bring your favorite. To register, stop by after school and talk to Ms. Lupita or Lupita.Obrien@bccls.org. About Therapy Dogs Int'l. 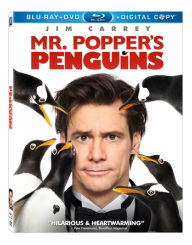 Visit our children's area and watch a movie as part of our Penguin week celebration!